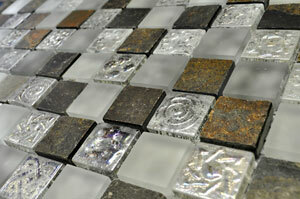 Glass mosaic with golden nuggets for luxurious and sophisticated environments. Give your home a fancy makeover with the decorative Brunei mosaic tile. This irregular looking glass mosaic sports a classic ornamental look in a golden finish, which will add sophistication and luxury to any space of the home. The glossy finish offers a stunning look and it looks incredibly attractive. 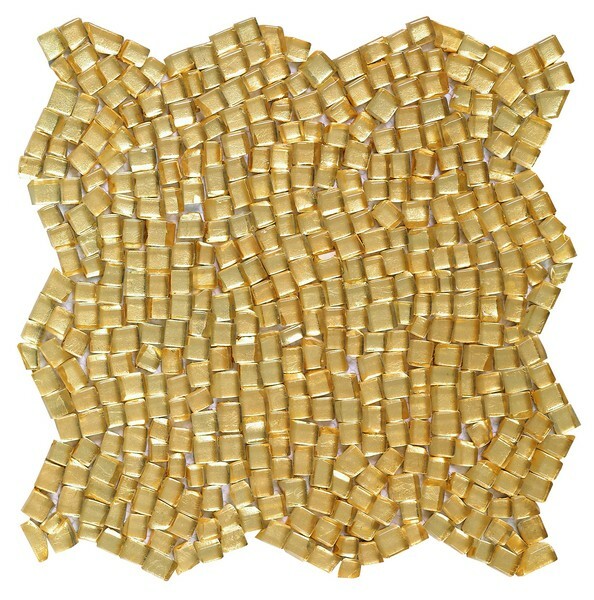 The Brunei mosaic tile is available in a standard size of 29x29cm and is sold per piece. It is suitable for use both as a floor tile and as a wall tile and is ideal for bathrooms or for creating a dramatic kitchen splashback. It is also highly water resistant and can be installed in wet areas and even in swimming pools. Apart from good looks, the Brunei mosaic is also incredibly practical. 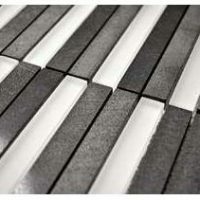 It is designed for easy installation with minimum grouting, which offers a seamless and modern finish. Its quality manufacturing means it last the test of time. For fancy mosaic tiles in Perth, you’ll find nothing more sophisticated than the Brunei mosaic tile. 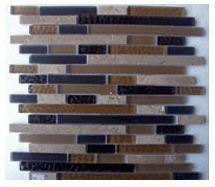 Buy this decorative mosaic at the lowest price from our online store today!